Nashville's safety net hospital needs a safety net of its own in terms of funding. For the past two years, Nashville General Hospital has asked Metro Council for emergency funds on top of the annually budgeted $35 million subsidy. In January, the hospital requested a supplement of $16 million to the current fiscal year budget, which Metro Council approved on Feb. 7. At the time, Nashville General CEO Joseph Webb cited uncertainties in the healthcare industry, along with $6 million in unrealized insurance payments that had previously been projected as revenue, as key drivers of the additional funding need. In mid-March, metro budget requests were due for the coming fiscal year. The Nashville Hospital Authority signaled $35 million isn't a realistic operational figure in light of the emergency funding requests of the past two years and instead asked for a $55.7 million subsidy for the 2017-2018 fiscal year. Hospital Authority Chair Jan Brandes, MD, and Webb presented the case for the additional funding. During the budget hearing on March 17, The Tennessean reported frustration by Mayor Megan Barry who has been a vocal supporter of Nashville General but who must also balance many other budget requests. As reported in the daily paper, Barry said, "Let me tell you where my problem is. We have a revenue stream that is limited. We do not have a pie that is big enough to fund every request, and this is such a significant request that this takes a huge bite out of a lot of other things. "I absolutely believe in a safety net hospital," she continued. "What I need to hear, though, is a commitment -- which I am hearing from the board chair and the new board members -- that we are committed to absolutely making sure that this is the most efficiently run safety-net hospital." In a conversation with Nashville Medical News last October, Webb said he arrived at the beginning of 2015 to a facility that was dealing with clinical and financial issues on multiple fronts after years of uncertainty over the hospital's fate. 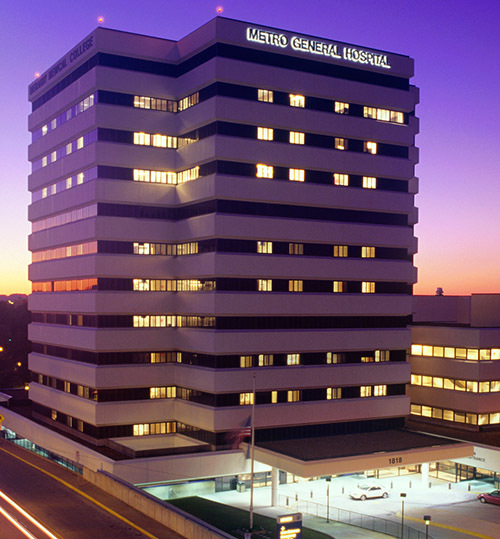 Under his leadership, Nashville General has achieved Joint Commission accreditation and instituted a number of protocols to try to achieve a sustainable financial position. Through upgrades and additional services, such as the recent opening of the outpatient Nashville Healthcare Center, Webb said he is hopeful the hospital could attract more commercial pay patients, which would help with financial stability.